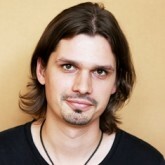 With a strong marketing background and seven years digital agency experience, Laszlo is coming from the business side. He has worked on top listed mobile apps, digital user acquisition tools for the financial sector and new to market startup products as well. Currently he is a project manager at Budapest based Digital Natives, coordinating web and mobile development of products that aim to make real impact. In the early phase of product planning we all imagine a cool stuff that satisfies our users needs and makes their lives better. After days of brainstorming, meetings and considerations we are getting an even clearer vision of the way it should work. With the concept we hire designers and developers to bring the product to life because they are experts and know exactly what has to be done. The truth is that all we can make are assumptions. And what happens with assumptions? Some of them prove to be incorrect. This is why data come into the picture –the sooner the better. This presentation is about why we really need data and how to use them during the phases of product planning and development.